Among waste-to-energy technologies, incineration stands taller. 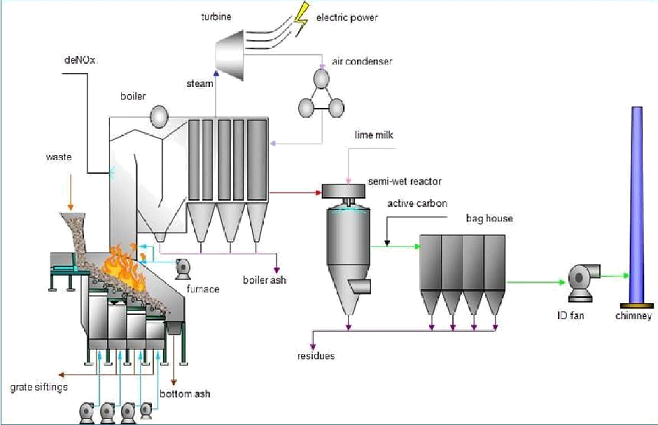 Other technologies are gasification, PDG, anaerobic digestion and Pyrolysis. 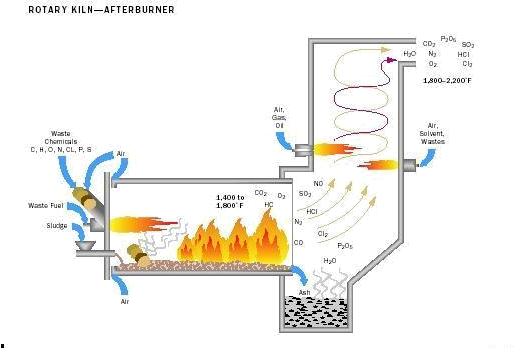 Sometimes Incineration is conducted with-out the reason for recovering energy. 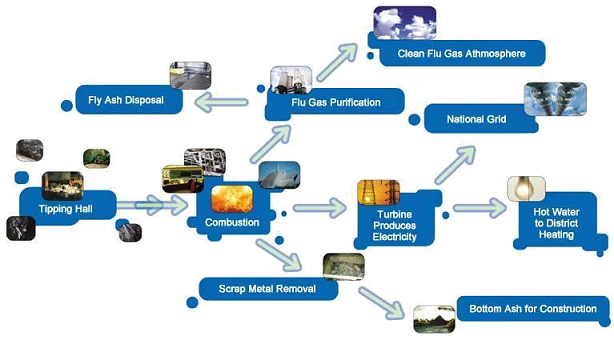 In past, incineration was conducted with-out separating materials thus causing harm to environment. This un-separated waste was not free from bulky and recyclable materials, even. This resulted in risk for plant workers health and environment. Most of such plants and incinerations never generate electricity. This was fixed and older version of grate. This kind genrally is lined with bricks while lower or ash pit is made up of metal. This grate genrally has an opening at the top and for loading purpose, a side of grate is wide open. A number of fixed grate were first formed in houses, which today are replaced by waste compactors. The primary chamber in a rotary kiln incinerator consist of an inclined refractory lined cylindrical tube. The inner refractory lining serves as sacrificial layer to protect the kiln structure. This layer needs to be replaced from time to time. Movement of the cylinder on its axis facilitates movement of waste. In the primary chamber, there is conversion of solid fraction to gases, through volatilization, destructive distillation and partial combustion reactions. The secondary chamber is necessary to complete gas phase combustion reactions. 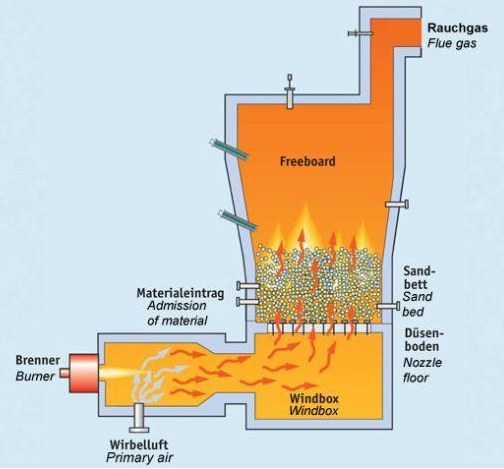 The heat that is produced by an incinerator can be used for generating steam, which is used for driving a turbine in order to produce electricity. The typical amount as is produced by Municipal waste per ton is 2/3 MWh for electricity and two MWh for heating. Thus, incinerating about 600 metric tons (660 short tons) per day of waste will produce about 400 MWh of electrical energy per day (17 MW of electrical power continuously for 24 hours) and 1200 MWh of district heating energy each day. In studying this topic, it became evident that not much research and studies have been performed to determine the effects of this method. More incinerators are being erected today than ever before which indicates that it is either more widely accepted or that it is the only option for some cities. It can be assumed that incinerators do not cause excessive harm to the environment and the people because the EPA would have banned their use if this was true.